When we say our leaders are visionless, of course it does not mean they can’t see—it sometimes means, their eyes are incapable of seeing what’s good for their people. And that’s exactly what those in charge of Ghana’s Intercity STC are doing: the joke of the century is, the corporation which has been rebranded several times and has lost the power of road transport to the independent VIP bus operators because of its incompetence says it’s making a leap into marine transport. This hollow dream has gotten a lot of people happy, especially the political lunatics—with the Minister of Transport, Mr Fifi Kwetey, being excited about the prospects of this new operation. A corporation that has lost it several times is about to venture into such a hazardous area of transport and people are excited about it. Even if buses can’t be well operated, what makes anyone think this entity is capable of managing hovercrafts—and it’s well positioned to carry people safely on water? The first phase of the operation, aimed at easing the transportation challenges facing the people, will be undertaken along the Accra-Tema coastline. 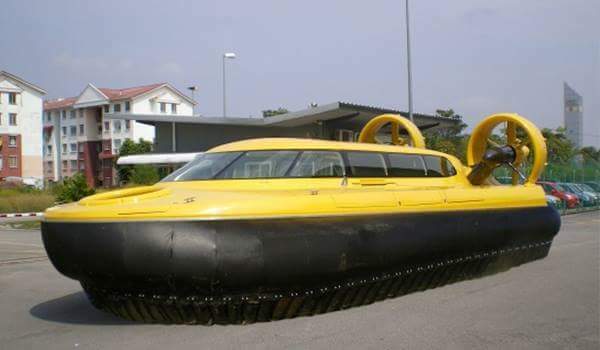 People from Tema and its environs could board the hovercraft at Mensah Guinea, near Sakumono, and get transported to the Arts Centre in Accra in a period of 36 minutes. Good luck to anyone who would jump on this; Intercity STC has not even mastered road transport and we are venturing into marine transport.